Russian River Brewing has won Beer of the Year from readers of American Homebrewers Association Magazine, Zymurgy. 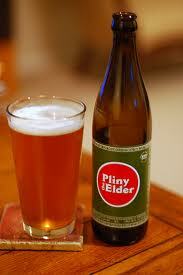 It’s a three-peat for the brewery’s Pliny the Elder, a double IPA. “All the beers on the list with us are amazing,” Deas said. A total of 433 breweries and 1,306 beers were represented in the 2011 poll. Other Northern California breweries on the list included Chico’s Sierra Nevada, Ft. Bragg’s North Coast Brewing (Old Rasputin, 18th place), San Francisco’s Anchor Steam and Healdsburg’s Bear Republic (Racer 5, 29th place). Russian River Brewing’s Blind Pig IPA took 43rd place.